Warren Luckner's new ACTEX eLearning course Being An Actuary: Beyond the Mathematics, An Overview of Ethics and Professionalism in the Actuarial Profession, launched October 22nd. This on demand online course is part of ACTEX's expanded eLearning and Continuing Professional Development for Actuaries. 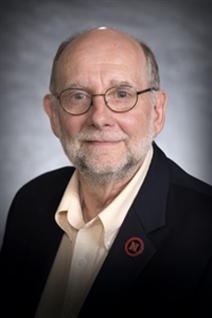 Warren Luckner, FSA, MAAA, CFA, is a former SOA staff member and former head of the University of Nebraska Actuarial Science program. We sat down with Mr. Luckner to talk about the new e-course and his career in actuarial science. ACTEX Learning (AL): What drew you to create an e-course on professionalism? Warren Luckner (WL): I created this primarily because of my long-held belief that professionalism is an extremely important aspect of being an actuary. Throughout my 20 years as an actuarial educator, I emphasized in my classes that professionalism is an important part of being an actuary, and throughout my actuarial career, I have had the opportunity to give talks on professionalism at local actuarial club meetings. This e-course is a continuation of that emphasis. Of course, the current continuing education requirements in the actuarial profession have also been a motivating factor to create this e-course to provide another opportunity to satisfy those requirements. Also, the opportunity to create an e-course, which is a convenient way to deliver education more widely and flexibly, was attractive to me. I had not previously created an online course, and I was interested in learning how to create such a course, and demonstrate that you can teach an old dog new tricks! WL: For this e-course, I started with PowerPoint slides from a few different past presentations. To get to the comprehensive scope I wanted, I added quite a few slides based on searches of the websites of the actuarial organizations in Canada and the United States, and the website of the International Actuarial Association. It is also based on my actuarial work and volunteer experiences, especially my volunteer work as a facilitator for the SOA's Associateship Professionalism and Fellowship Admissions Courses, and on my committee work with the International Actuarial Association. To create the script for each slide, I first jotted down notes, usually in the notes pages of the slides. I polished the scripts with several revisions and a peer review by Linden Cole, an actuary with a long history of involvement with professionalism issues in the actuarial profession, who provided many helpful suggestions. The recording and multiple re-recordings of the scripts for the slides, and the video editing to create the videos was particularly tedious and time-consuming, especially since this was my first time using the Camtasia software. I found that my voice was best recorded from mid-morning through mid-to-late afternoon. Taking breaks, especially from recording and editing, was essential to stay fresh and focused and often led to better ideas and results, at least I think so. During the entire process, ACTEX technology staff and actuarial staff were most helpful in making suggestions, providing technical assistance, and finalizing the videos and setting up the e-course environment. WL: Typically, my wife and I spend at least an hour each day working out, usually either walking or riding bikes. As a sports fan originally from Chicago and now Nebraska, I enjoy cheering on the Cubs, Bears and Huskers. In the past, I enjoyed creating PowerPoint presentations for class, for actuarial meetings, and for surprise birthday parties. They were intended to be clever and humorous, although apparently they were not always successful in that regard. I have moved on to creating Movie Maker videos for special occasions. And, to practice my number skills, I like to occasionally do Sudoku puzzles! AL: Do you have an interesting or funny story to share from your career or process of creating this course? WL: Interesting? Funny? Actuary? The stereotype of actuaries would suggest that those three words don't go together. This stereotype was confirmed to me quite a few years ago when I presented a slide show at a surprise birthday 65th party for my mother. In attendance was the then President of Lutheran Brotherhood, a marketing guy. After the slide show, he commented that he didn't know actuaries had a sense of humor! I don't agree with the stereotype. I have had the opportunity for quite a few "interesting" experiences during my actuarial career, probably a function of having a very long career. A few examples …Twice being Curly Pi opposite Pretty Miss Polynomial in the play "Impure Mathematics" … Once at a celebration after exam results, and then at the FSA party for four of us new FSAs who hosted the party. Fortunately, I was leaving employment at that company to teach at Nebraska after the FSA party. In the Daily Nebraskan during my first tour of duty at Nebraska, "Prof. Luckner, 97% of the students at UNL have time to be sexually active (even though they may not be) and the other 3% are Act. Sci. students. Your students". Just my contribution to the moral fabric of University of Nebraska students. Email from former student with an interesting typo (I think). "Dear Prof, I am grateful for the information made available to me. You have been of immense hell to us. I pray that we will have a chance to meet again." From one of my second generation of Nebraska students "Did anyone ever tell you that you sound like Dustin Hoffman?" I hope that's a positive and came through in the videos for this e-course. Finally, many t-shirts were created over the years by Nebraska's student Actuarial Science Club. My favorite: "Love An Actuary, Somebody Has To". I occasionally wear mine to remind my wife. WL: "How the Chicago Cubs Won the World Series"
AL: What are some of the key issues and challenges facing the actuarial profession over the next 25 years? WL: Maintaining relevance and respect for what actuaries can contribute to society; marketing our value beyond our technical skills, which ultimately may be replaced by evolving technology; the evolution of thinking robots. So, again, professionalism is a key characteristic for actuaries to maintain. Expect the Unexpected is the title of a math education program of The Actuarial Foundation, and is a good phrase to keep in mind as the technology and economic environment changes. Actuaries and the Actuarial Profession must be able to adjust in a timely manner to a rapidly changing environment. AL: Do you have any thoughts on how actuarial continuing education might or should change in the future? WL: Related to the previous question, the content and delivery of continuing education must at least keep up with changes in technology, in the economic environment, and in the models and techniques available to complete actuarial tasks. Continuing education should not just be catch up but should help prepare actuaries for future changes. Educating actuaries on how to adjust to change is an important topic area for continuing education as I believe the pace of change will continue to increase. AL: What has been your favorite course or talk that helped you to satisfy your continuing education requirements? WL: Serving as a facilitator for the Society of Actuaries Associateship Professionalism and Fellowship Admission courses. AL: How has the actuarial profession changed during your career? WL: The actuarial membership organizations have significantly evolved from organizations, perceived by many to be insurance industry trade associations, to professional organizations serving members in a variety of types of employment, and serving the public interest. The evolution of computers has changed the nature of actuarial work from primarily computational to more analytical through the ability, for example, to test the sensitivity of premiums and reserve to potential changes in interest rates, mortality, expenses, and to conduct scenario testing, combining past experience with alternative futures. AL: What advice do you have for entry-level actuarial students? WL: Math ability and math interest is a foundation. Ability to effectively communicate the results of your work to your supervisor or client is critical for your work to be valuable. Technology is your friend, but it is rapidly changing. Take advantage of those changes. I would like to stress the importance of being an actuary beyond the mathematics. Your added value is in being a member of a profession, and what that means in terms of how you act and what you contribute. Keep in mind that you are helping people. Your work helps individuals, organizations and society achieve financial security. Again, expect the unexpected. Obviously easier said than done, but be prepared for surprises and be able to adjust to change. WL: I hope that the somewhat quirky nature of this e-course, with an occasional "Wit and Wisdom" and an occasional Classic Rock or Country Western music clip will make it a fun and enjoyable learning experience. Thanks to ACTEX for giving me the opportunity to share my thoughts in both the e-course and this interview.